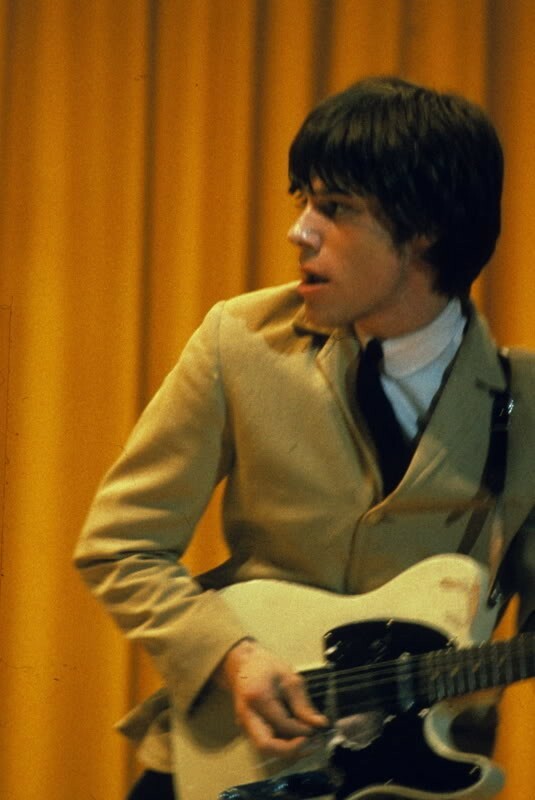 The 1958 Blond Fender Telecaster was given to Page by Jeff Beck when they were both members of The Yardbirds. 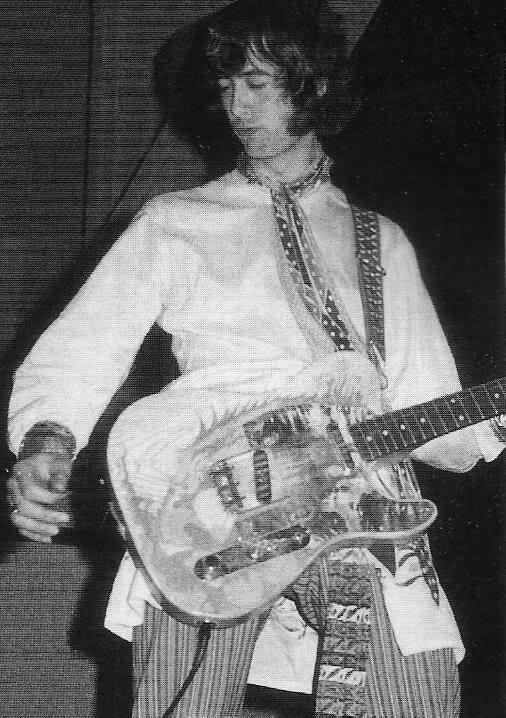 Here’s Beck playing what would become the “Dragon” guitar with a homemade black pick guard. 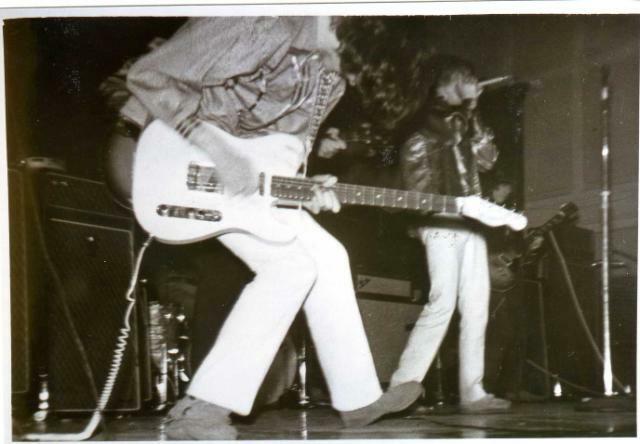 And here is Page playing the future “Dragon” Tele on stage with The Yardbirds. 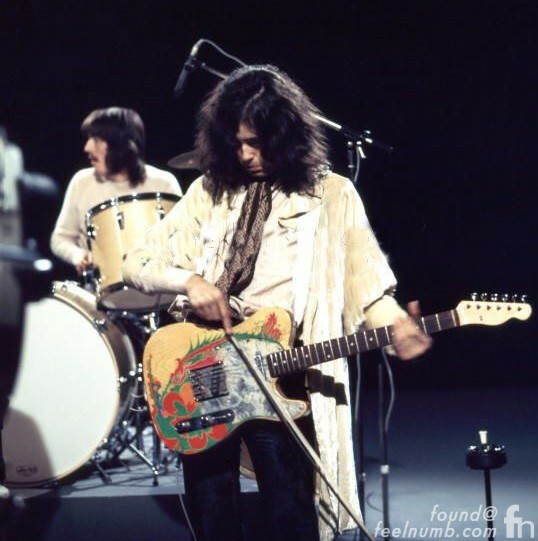 In late 1967, Page stripped the paint off of this 1958 Blond Fender Telecaster and hand painted a green, red and orange psychadelic dragon on the front of the body. 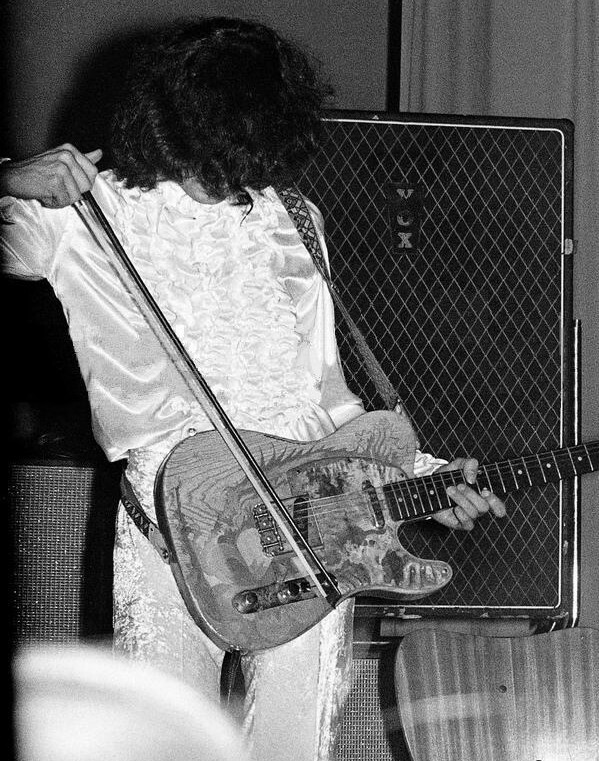 He also replaced the pickguard with a pickguard made of clear acrylic. 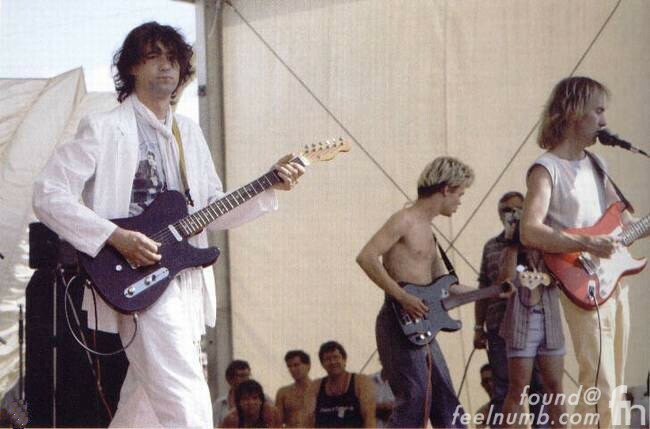 In a 1998 Guitar World interview, Jimmy Page said the following about the fate of the “Dragon” Telecaster. 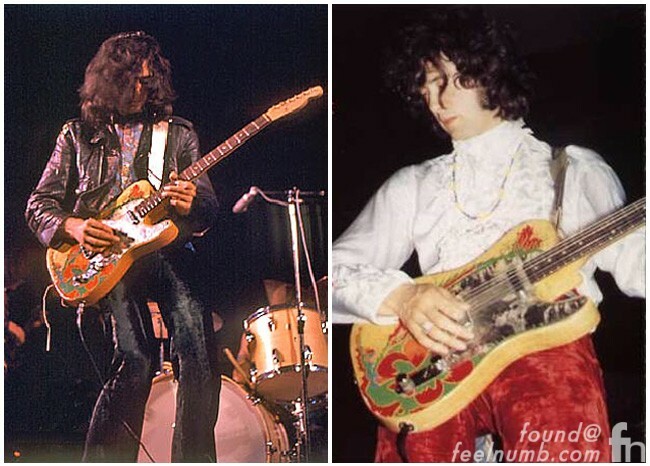 Here is a photo Page playing the “Dragon” Tele neck with The Firm. Please, from where is the last picture? 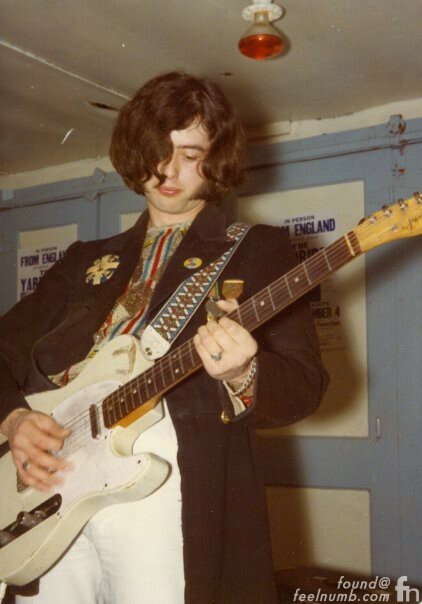 It's in pretty good quality. 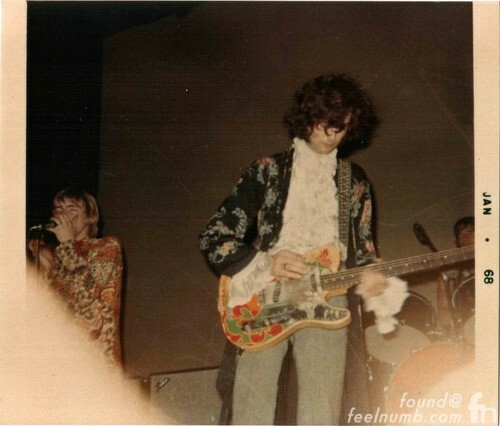 Friends on acid… I'm sure it looked good at the time.